Le Papillon Leisure via Amazon offers the Le Papillon 15-Foot Patio Umbrella in several colors (Blue pictured) for $129.99. Coupon code "73JXZLDB" drops the price to $90.99. With free shipping, that's $39 off and the lowest price we could find. It features three air vents, powder-coated steel ribs, and a polyester fabric shade. Using the above code, the 15-lb. 48" x 78" option is available for the same price and the 20-lb. 60" x 80" option drops from $99.99 to $59.99. Amazon offers the Lexar 32GB Class 10 UHS-1 633x High Performance microSDXC Memory Card for $5.99 with free shipping. That's the lowest price we could find by $2 and the best price we've seen. It features a maximum read speed of 95Mb/s and a minimum transfer rate of 20Mb/s. Discounts often go above 50% off, and as a bonus, you'll be helping the environment. If the rapper Macklemore is to be believed, then skipping the high prices of the retail racks and going straight to the thrift store for solid deals on clothing is a practice worth extolling in song. That's because these stores are frequently lined in wares that are in exceptional condition. Not even the most seasoned shopper is immune to an occasional bout of buyer's remorse, and when making a return isn't an option, perfectly fine and gently used clothes wind up on racks of thrift and consignment shops. This type of green business actually makes it possible to score unbelievable deals — and save some cash — on like-new clothing. And with Earth Day right around the corner, thrift shopping is a timely topic to learn about. Being people who work with cold hard numbers, we wanted to know a bit more about the facts and figures behind thrift and consignment shopping, namely: How much can you save with secondhand clothing? We turned to Carolyn Schneider, author of The Ultimate Consignment & Thrift Store Guide, a 400-plus-page bible of the pursuit, to shed some light on the matter. Schneider says the average discount a shopper can find on apparel in thrift stores is upwards of 50% off. And it doesn't even have to stop at the 80% mark. "Many stores offer additional discounts," she says. "If an item does not sell in 30 days, it's marked down an additional 20%, and if it does not sell in 60 days it is marked down another 20%." So if you're on the fence about a blouse or jeans, it might be good to revisit the shop in a week or so to see if the price has dipped. "If an item does not sell in 30 days, it's marked down an additional 20%, and if it does not sell in 60 days it is marked down another 20%." That said, there's a risk. Items in thrift stores and consignment shops are almost always one of a kind, and leaving something on the rack today means it could be gone tomorrow. If fit, style, and price all intersect in an ideal sweet spot, you'll want to purchase the item then and there. But if those "back in style" acid wash jeans feel like an impulse buy, Schneider says to hold out, especially if the price feels a bit high despite the discount. A $400 leather jacket at 50% off will still cost $200, and that's a high price tag. "Make sure you've done your research to see what the going rates are," and price-check your purchases, says Vanessa Rae, a lifestyle expert; there might be similar styles selling new for less money. With such high potential discounts, Americans are saving a pretty penny by clothing themselves via the thrift store route. As of January 2017, the revenue for the thrift stores industry was $12 billion. That includes furniture, home appliances, books, and clothes... lots of clothes. Clothing sales were expected to generate 58.2% of thrift store revenue in 2017, which translates to $7 billion. And if we assume at least a 50% savings on all thrift store apparel, then the original sticker price of new clothes retailed for $14 billion — this means shoppers may have saved $7 billion on their purchases. This estimate is a combination of two statistics from America's Research Group that were cited by NARTS: The Association of Resale Professionals. First, about 16% to 18% of Americans shop at thrift stores each year, while 12% to 15% shop at consignment/resale shops. If these percentages seem low, consider that 11.4% of Americans shop in factory outlet malls; 19.6% in apparel stores; and 21.3% in major department stores yearly, putting the thrift category right in the thick of things. And no matter what you might assume, those shoppers come from all levels of income, according to NARTS: "There is no typical resale shopper, just as there is no typical resale shop." 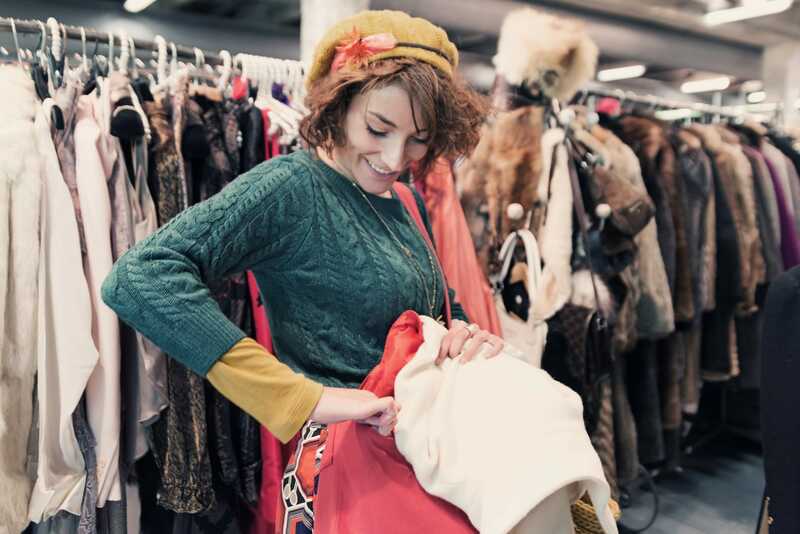 Although three out of 20 Americans may seem like a low number for those who visit secondhand stores, evidence suggests that thrifting in general is on the rise. Based on stats from NARTS, the number of resale stores has grown approximately 7% a year over the past two years. (Could Macklemore's homage to thrifting have played a part in encouraging the spike?) Now, the U.S. has more than 25,000 resale, consignment, and nonprofit resale shops. Thrift stores and consignment shops are obviously savvy options for anyone who feels strongly about lessening their impact on the environment, since these stores are able to combat the immense carbon footprint the clothing industry has on the environment; every article of clothing resold cuts down on the environmental cost of apparel production. Schneider says: "When you buy secondhand, less items travel thousands of miles [and] use up energy and pollute the planet. And wearing gently-worn clothing means keeping those items out of landfills." Indeed, recycling-conscious consumers help drive the popularity of thrift and consignment. That said, if you're a do-gooder on the donating side of the thrift equation, we recommend you give to Goodwill, the Salvation Army, or other notable nonprofits. While most resale stores appear to be the same to shoppers, definite distinctions exist. According to NARTS, a resale shop is a store that buys its merchandise outright from individual owners. A consignment shop, which is a subset of resale, pays the owner a percentage when and if the items are sold, usually 40% to 60% of the selling price. And a thrift shop is run by a nonprofit to fund a charitable cause. A consignment shop pays the owner a percentage when and if the items are sold, usually 40% to 60% of the selling price. Too loose to categorize for retail purposes (but a close cousin to a resale endeavor) is the yard or garage sale. Here discounts run extra deep on clothes, though shoppers also run a higher risk of buying damaged or stained goods, and not finding out until it's too late. By contrast, consignment shops (especially in high-rent neighborhoods) stake their resale reputation on closely inspecting garments for rips, tears, and the like, making the resale experience as close to new as you can get. There's another category worth mentioning, as it can yield cashless bargains and eco-friendly results: the clothing swap. Planning your own event with fashion-conscious friends and acquaintances offers a twofer where you can clean out your closet and update your wardrobe in one outing; leftover clothes get bagged up and donated to thrifts. As Rae sums up, the common roadblocks involve fit, style, and wardrobe basics. First, the resale mentality best fits those who, well, don't obsess over fit. 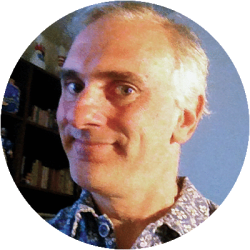 There might not be much difference for a guy shopping for a Large sweater versus XL, but a cute blouse will likely come in one and only one size, and it might be a tad tight or loose. "Finding pieces that fit usually requires a sense of adventure and a lot of patience," she says. Then there's style: That one Gucci handbag you spot might have a shockingly low sticker price, but come in a color you don't like. And finally, thrift shoppers will have much better luck finding layers and add-ons as opposed to solid wardrobe basics, though getting to know your local consignment owner can aid in this endeavor. "When the owners and shop employees can get to know you and your taste, they can look out for and let you know about items they think you'd like," Rae says. We'd love to report stats on the biggest thrift score ever, and many shoppers have stories about landing brand-new, $200-plus garments for about a tenth the cost. But alas, some numbers are not so much hard to confirm as open-ended. There's something fun and cathartic about combing the racks like a modern-day treasure hunter and always finding a deal. Readers, do any of you prefer buying your clothing at thrift shops? What's the best deal that you've scored secondhand? Recount your triumphant story in the comments below! I cannot bring myself to consider used clothing in thrift stores. My dad was raised in the great depression, served 20 years in US Navy (Pearl-to-Korea) as enlisted, lived hard working, mid-to-low class upbringing, but we would donate OUR clothes to the needy. But we would not bring ourselves to wear other people's clothes. Best score? I have some epic ones. I skipped the clothes section at Goodwill and went straight back to the electronics and records. You used to be able to find a fortune in electronics when everyone was moving to surround sound from analog equipment. I bought 2 pairs of Bose 901 speakers for $38 on half off day. I put about $120 into them to make them perfect. I sold them a couple of years later on eBay for almost $800. I found an original issue 6 eye pressing of Miles Davis album Kind of Blue. I paid $1 for it. I resold it the same day to a local record store for $400. I put together a wonderful vinyl jazz record collection for less than $1000 that is insured at 20 times that much today. My ultimate find? I found a PAIR of dusty but almost perfectly working and cosmetically perfect tube amplifiers in a stack of crap in a corner. They each had a cracked vacuum tube which I replaced. I paid $25 for the pair. The amplifiers are McIntosh MC60's. They are worth about $3500 EACH. I got a Burberry trench coat for $8. Never looked worn, and it's the real deal. Also got a $1 vintage vase that's worth waaay more than that. Plenty of other dumb things, but I'll admit I like looking through people's treasures. Best-ever score: Full length Persian lamb coat in perfect condition - $9.99 Or maybe those genuine Prada, Fendi and LV bags bought for $2.99 ... bought well before the average person (and the thrift store pricers) had ever heard of those brands. Been thrift shopping for 45+ years. Replaced my broken toaster earlier today with a new-in-box Cuisinart for $3.99 minus 25% senior discount or $3.00. Savvy thrift shoppers know how to spot top quality items and favor classic clothing styles. Free citrine necklace from catholic thrift store by well known designer from south America ! "Although three out of 20 Americans may seem like a low number for those who visit secondhand stores, evidence suggests that thrifting in general is on the rise. Based on stats from NARTS, the number of resale stores has grown approximately 7% a year over the past two years. (Could Macklemore's homage to thrifting have played a part in encouraging the spike?) Now, the U.S. has more than 25,000 resale, consignment, and nonprofit resale shops." With just about anything that becomes well known or popular, those thrift stores realize the amount of traffic coming and merch going out the door. They are now raising base prices up 50% from what they used to be and the special discounts are fewer than before. More crowds are going in but are now usually leaving empty handed, unhappy with the higher prices and stagnant merch packed tight that most don't want.